Embroidered Small Wall Decoration "Im Eshkachech" - Turquoise CAT# WSA - 9T. Embroidered Wall Decoration. 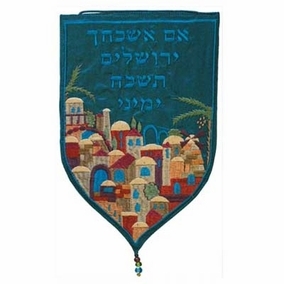 "Im Eshkachech Yerushalaim Tishcach Yemini" Size: 7” X 4.5”.